Manufactured from high grade alloys, and machined to Malossi’s exacting standards to ensure the best possible performance whilst still maintaining reliability from the 63mm diameter cylinder. Technical features include, recalculated heat exchange surfaces for more efficient cooling, ultra compact lightened and reinforced piston kit, and low friction piston rings, to name but a few. The cylinder increases the capacity to 204.5cc and provides a marked improvement in performance across the entire rev range. Malossi also manufacture their “Delta” adjustable clutch, torsion controller, and “Multivar” variator kit for the Scomadi Leggera 200 4V scooter, which are also available through VE (UK). 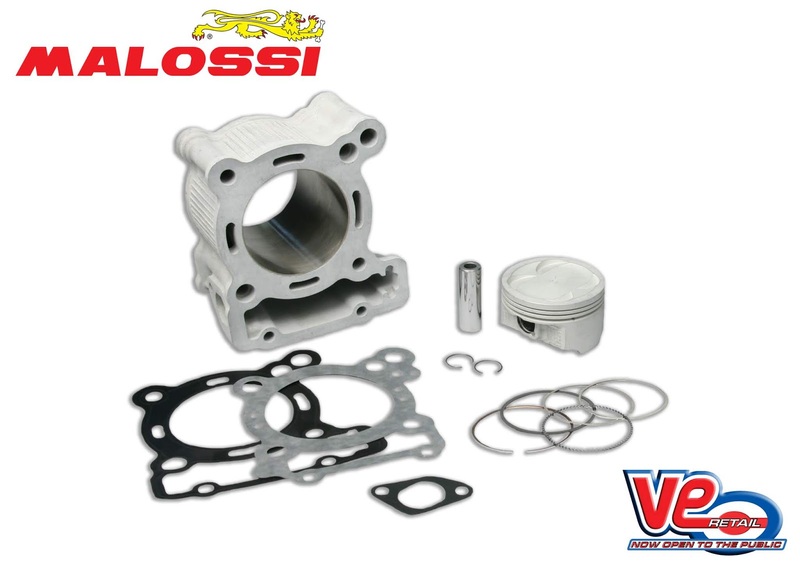 VE (UK) are the official Factory Appointed Sole UK Importer for Malossi Performance Products. VE (UK) stocks the full range for both classic and automatic scooter models. This entry was posted in Malossi Performance and tagged 200cc, 4V, cylinder kit, Leggera, malossi, scomadi, scooter. Bookmark this page.